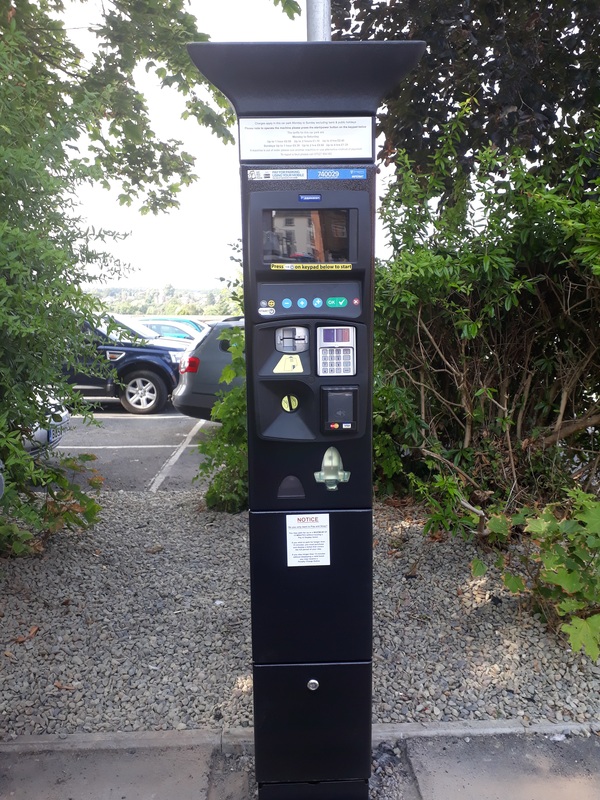 On Wednesday, we gained two major concessions on the new parking regime in Ludlow. 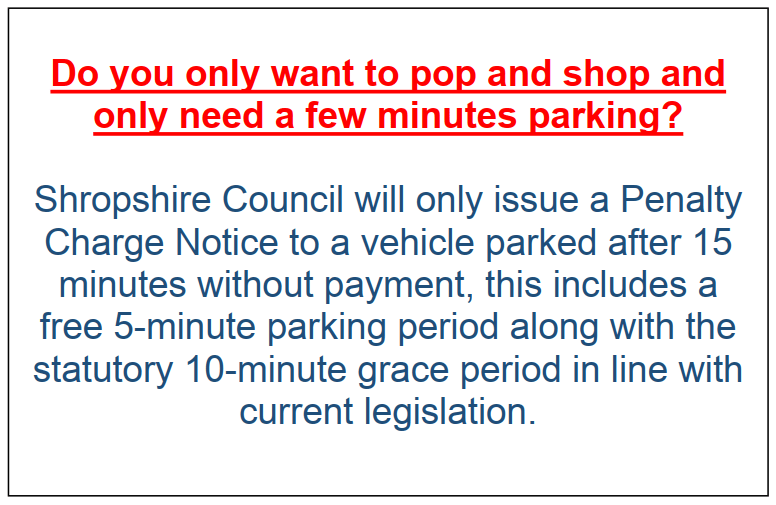 Parking charges will only apply until 6pm, not 8pm in the town centre. The current system of reduced parking charges for market traders will continue. We also gained the promise of two reviews into the impact of the changes, one after six months and the second after 12 months. We have spent an entire year fighting for a parking regime that works for Ludlow. We have only got half way there. And there is so much more to do. When does the new parking regime come in? In November. The new parking meters are already being installed. We are expecting the new charges to come into place in time for the Medieval Faye (sigh!). I should stress that although new meters are being installed now, the charges remain the same until November, despite some ill-informed comment on Facebook. Will it cost me more to park in Ludlow? Generally, shoppers and visitors will pay more. Workers who can walk a short way will pay the same as at present or less. So, let’s walk through the changes. Red Zone on-street (see map). £1.80 an hour from 8am until 6pm, seven days. Plans to charge until 8pm have been abandoned. No maximum stay. Residents’ permits still available. Blue Zone on-street. £0.70 an hour from 8am to 6pm, seven days. No maximum stay. Charge applies to the full Blue Zone where there are marked payment areas. This includes the Linney and Coronation Avenue but not areas where parking is currently free for two hours. Residents’ permits still available. Castle Street Car Park. £1.00 an hour from 8am to 6pm, seven days. No maximum stay. No weekly or season tickets. Upper Galdeford (top deck). £0.50 an hour from 8am to 6pm, Monday to Saturday. Free on Sundays. No maximum stay. Weekly ticket £17. Residents annual ticket for unlimited parking £320 (plus residents’ permit cost, so probably £420). Upper Galdeford (lower decks) and Smithfield. £0.30 an hour from 8am to 6pm, Monday to Saturday. Free on Sundays. No maximum stay. Weekly ticket £10. Residents annual ticket for unlimited parking £192 (plus residents’ permit cost, so probably £292). Market waivers. The current system where traders can park their vans for £2 a day in winter and £4 a day in peak season will continue. For technical reasons, this will be subject to an additional consultation. Blue badge parking. No change to current arrangements. HGVs. Our only designated HGV car park is Smithfield. It will be £10 a day, with season tickets ranging from £105 for a month to £720 for a year. Coaches. No charge for parking on Smithfield. Residents’ permits. This is to be decided in late September. Expect the cost to double to £100 a year. Eco Park park and ride. No change but see below. When? The new charges will apply from November. They will be reviewed twice in the following year. Better car parks? Shirehall now recognises that our Ludlow car parks are in a decrepit state. The lines marking parking bays have been eroded to the point of invisibility, especially the disabled parking bays in Upper Galdeford. 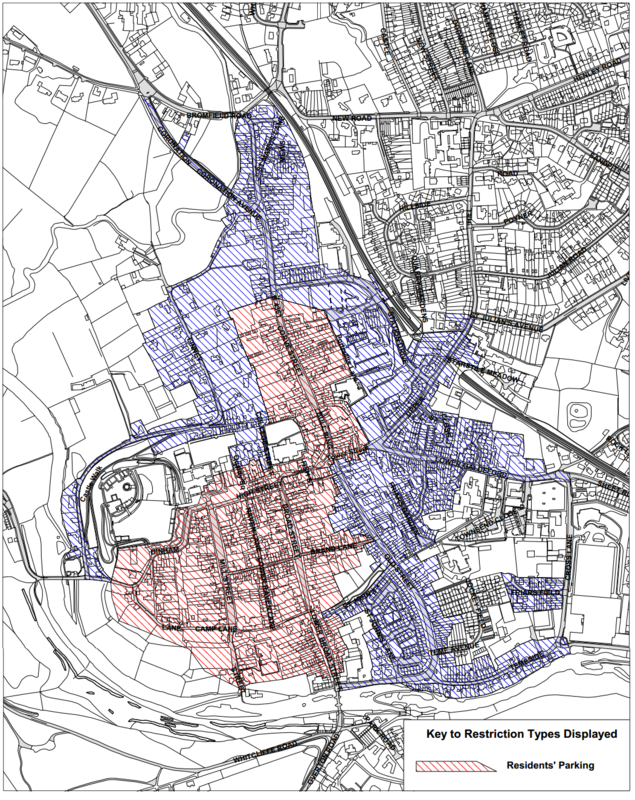 Shropshire Council has finally recognised that we can create around 60 extra parking spaces in Ludlow by using the existing space more effectively. That means a one way system across the full top deck of Upper Galdeford car park; bringing the Youth Centre car park into public use at weekends; and white lining parking bays on-street in the Red and Blue Zones. It’s a cheap as chips approach to increasing parking capacity in Ludlow. Park and ride. The Eco Park park and ride must also come into the parking regime. It is falling apart but most people that park there do not get the bus. They work for the Eco Park based companies. My view is that we should make a charge, say £1.80, for car parking for the day. People using the park and ride would then show their parking ticket to the bus driver and then get £1.80 off their return ticket to town. There are sometimes 100 cars on the park and ride that are owned by employees of Eco Park businesses. They need somewhere to park but they should pay towards the maintenance of the parking area. This is a big issue to resolve. Viv Parry has gained an agreement with Shropshire Council to try to work out a solution. What about Smithfield car park? What has happened to the parking plan for Castle Square?